It has been a cold winter with more snow than I expected. The snow makes driving more difficult, of course, and there have been an unusually high number of delayed openings and days off from school this season. Even though I have heard many people complain about the harsh weather and express their opinion that they are ready for spring, I can’t help but enjoy every snowfall we have had. I love the snow. I love the beauty of the snowflakes and the way the snow coats the trees and ground. If we are going to have the cold, we might as well have snow to accompany it. 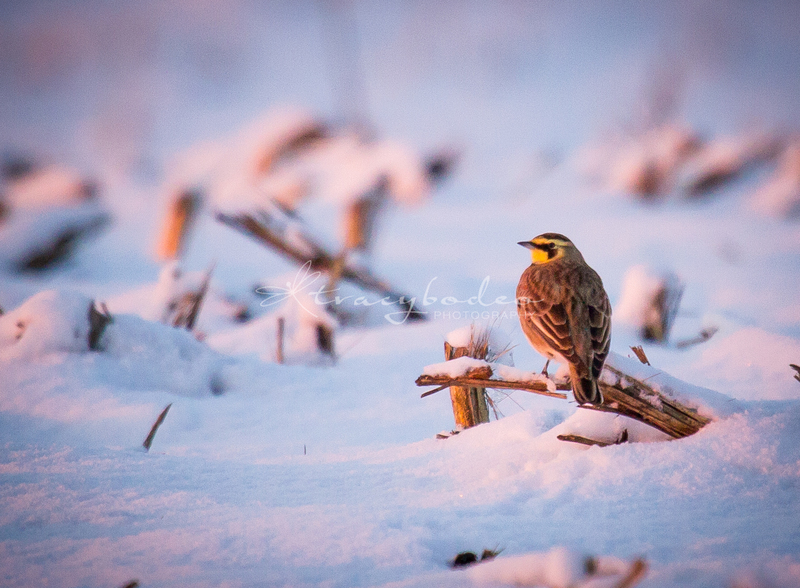 Along with the beauty of the snow, comes some wonderful nature photo opportunities…. This entry was posted in Birds, Nature and tagged bird photography, Canada Goose, Horned Lark, Lehigh Valley photography, Northern Cardinal, wildlife photography by tracy bodeo photography. Bookmark the permalink. 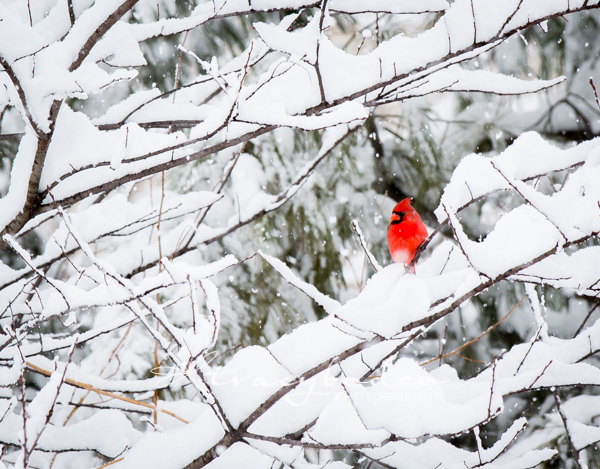 Ahh yes, the cardinal gives a fresh feel of winter.